Wild About the Bible Sticker and Activity Book is a blast! 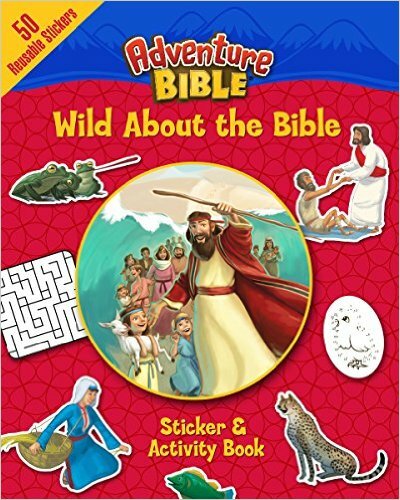 My kids love stickers so they absolutely adore this Wild About the Bible Sticker and Activity Book. It comes with 50 reusable stickers featuring Bible time heroes and their adventures. My kids love the activities throughout and I really like that it helps them learn about the stories in the Bible. Bible time heroes and their adventures is a fun activity book for kids! You can find Wild About the Bible Sticker and Activity Book (Adventure Bible) on Amazon, Barnes and Noble and other bookstores.